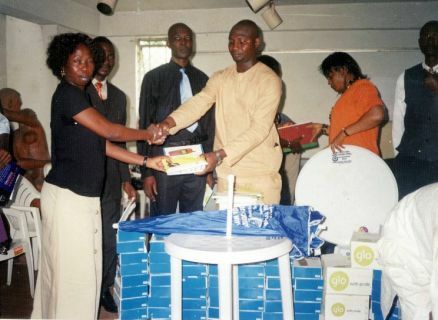 Comrade Evah congratulating the IYDA exco of 2003-2007 for successful distribution of empowerment tools to the youths. 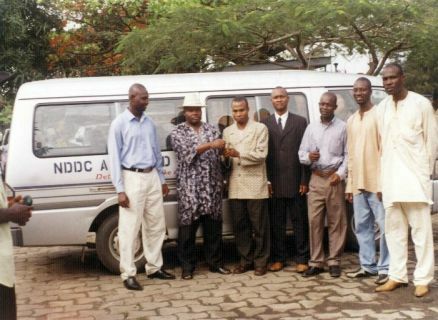 Comrade Evah presenting the keys of NDDC Bus to the IYDA Exco. IYDA business venue-cooperative manage the Transport. 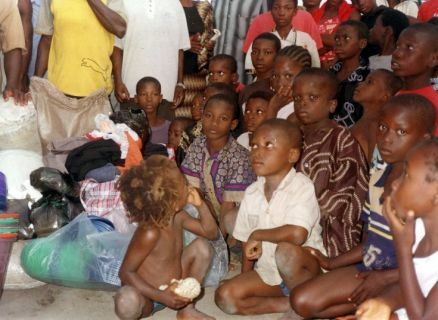 Henry Oyobolo presenting cash and relief materials to Ijaw refugees after a clash with OPC groups at Agbara area. 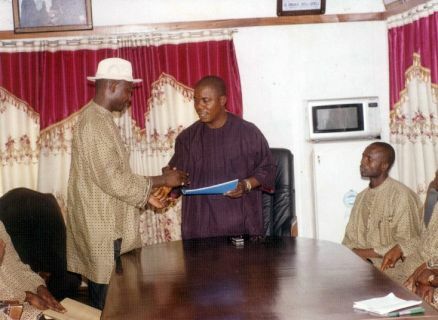 IYDA 2003-2007 President Anthony Oki Presenting the working document of IYDA to SSG of Ondo State Chief kekemeke. 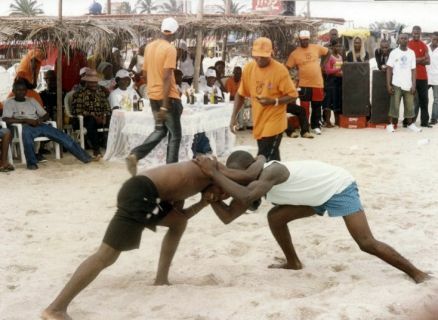 IYDA beach party wrestling was one of the side attractions. 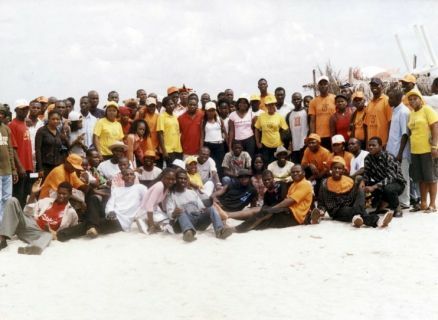 IYDA Members at a Beach Party organized to strengthen social interaction. 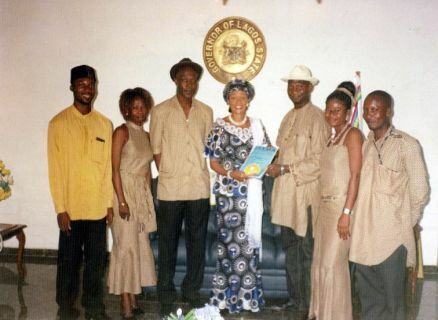 Mr Oki, President of IYDA 2003-2007 presenting IYDA working document to the wife of Governor Tinubu and First lady of Lagos State Mrs Remi Tinubu. 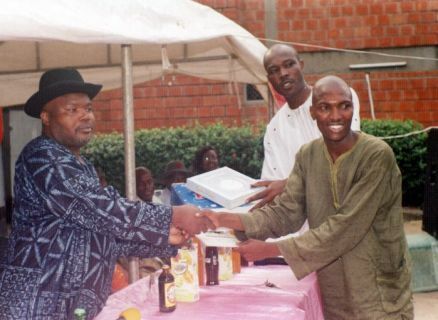 Mr. Prete of IYDA receiving his award from Grand Patron Comrade Evah. 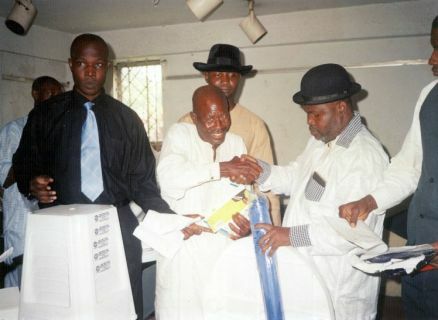 President Oki Handling over empowerment tools made-up GSM handsets, Tables, Chairs, Umbrellas e.t.c to one of the beneficiaries.